Different situations and life phases can call for short term care and support. Some disabilities or illnesses will only require short term care because of their nature but that shouldn’t deter you from seeking assistance to make life easier at home. Beacon Support is a registered NDIS provider with more than 17 years experience delivering both long and short term care and support to the aged, and people living with disabilities or illness. If you are a carer, you may find the need for respite from time to time. This may be on a regular basis, or if you have a busy week or an important event that you need to attend. We can ease the load and provide short term care and support for your loved one. Beacon Support offers short term care and support services for assisted holidays so you and your family can travel with ease. Make your dreams come true and take that holiday you’ve always wanted. We can help you with your assisted holiday in terms of destination and accommodation choices as well as logistical considerations. We can help on the trip itself with providing mobility support and personal care assistance. Beacon Support provides individuals and families with rehabilitation services to help you and your family get back on track. Our rehabilitation services will support you through your injury or illness and help you get back on your feet. Beacon Support services will help you gain your independence and confidence in life with short term care and support delivered in your home. 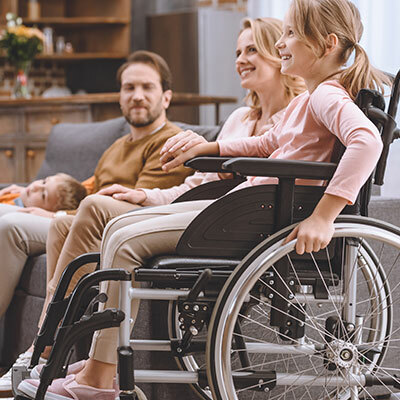 Many times our rehabilitation starts at home with your family and developing your independent lifestyle can be expedited by the support of loved ones. Beacon Support believes in working with all members of your family, friendships and work relationships to help you achieve success. Beacon Support offers a wide range of short term care and support services from basic support to companionship, transport, shopping and household chores. Our carers are dedicated to providing compassionate and skilled support focused on the customer. For us, the care and wellbeing of our clients is a top priority. Beacon Support is guided by a consumer driven approach to tailor an in home package to each individual’s needs. Contact us today to find out more about our short term care and support services we can offer you.